When grouped together, the elements fluorine, chlorine, bromine, iodine and astatine make up a chemical family known as the Halogens. You may not have been aware of it, but halogens have many uses, and most of us come into contact with them on a daily basis. Just think about it: the fluoride in your toothpaste, the chlorine in your pool, the iodine in your medicine cabinet…they’re all halogens! 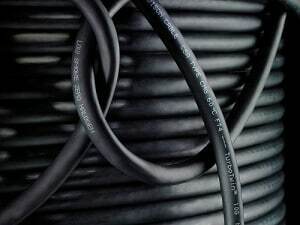 Pool maintenance, first aid and dental hygiene aside, halogens are also widely used as flame retardants in a variety of plastics, including the PVC (polyvinyl chloride) that makes up many cable jackets and electronics-related products. Unfortunately, when it comes to the health of both humans and the environment, halogen-based flame retardants can be a double-edged sword. Ironically, while these halogen compounds keep plastics from catching fire and spreading flames, they can also release hazardous gases if the plastic actually ignites. Carcinogenic substances like Polychlorinated Biphenyls (PCBs), Polycyclic Aromatic Hydrocarbons (PAHs), Nitro Polycyclic Aromatic Hydrocarbons and dioxins are all by-products produced when halogenated plastics burn. These gaseous compounds pose a double threat…not only are they dangerous in vapor form, but they can also condense into caustic acids (such as hydrochloric acid) when they come into contact with water. It’s all in the name… “Low Smoke Zero Halogen” sums everything up: these materials (such as polypropylene) contain absolutely no halogens, but still have excellent flame resistance and produce very little smoke when burned. 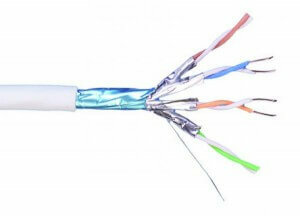 LSZH cabling is the safest choice for plenum use and any other applications in which smoke is likely to both build up and come into contact with people, since no harmful toxins are actually released.